For a while now I've been joking that my work area in the boatyard is reminiscent of a refugee camp. 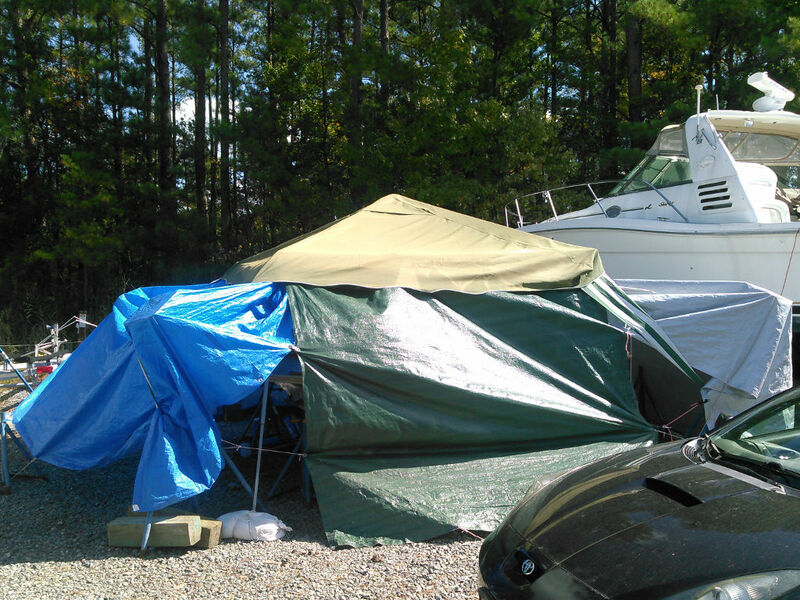 A canopy with tarps tied to it as a make-shift shelter just doesn't inspire engineering confidence. Well, yesterday we ended up re-configuring our shelter. Unfortunately, we have been here so long that the summer temperatures have turned into late fall temperatures (in the course of about a week). So, instead of fighting high temperatures that would cause the polyester resin to cure too quickly, we are now fighting low temperatures that prevent the resin from curing at all. To combat this issue, I reconfigured the tarps attached to the tent so it could be, at least partially, closed in to trap heat. 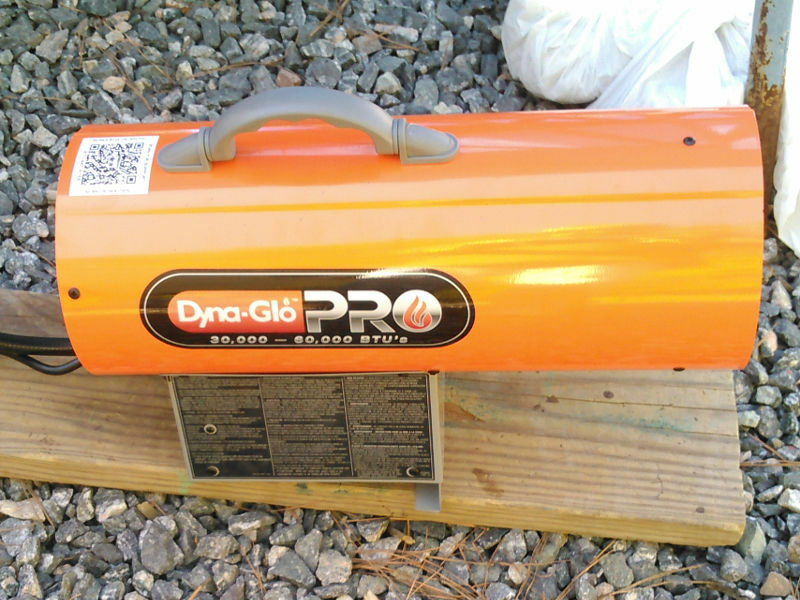 The result is far from an insulated work space, but using a propane forced air heater, it can manage to trap enough of the heat to bring the work space temperature up about 15 to 20 degrees above the ambient temperature (depending on how windy it is in the yard). A little heat to help things cure. 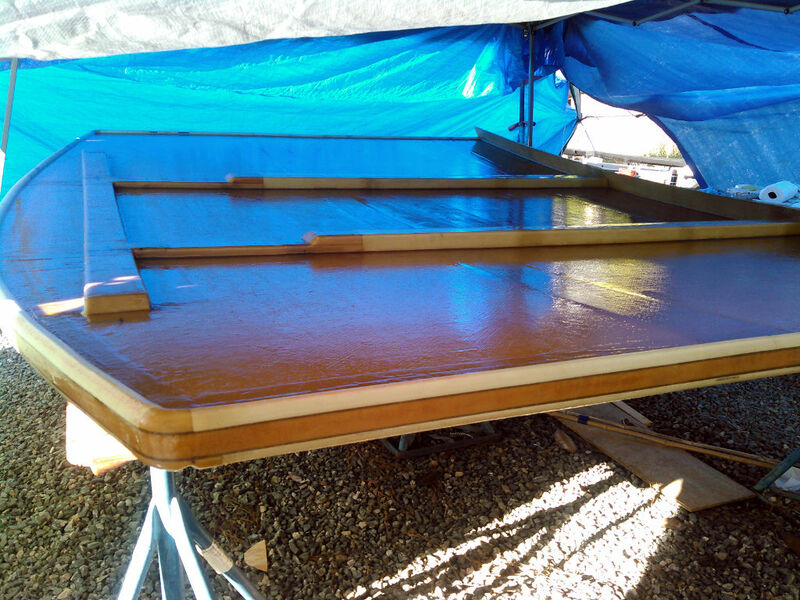 With the new and improved work space, we were able to apply a weave fill coat of resin even though the official high temperature here today was only 56 degrees Fahrenheit and was measured at a max of 65 in the yard. 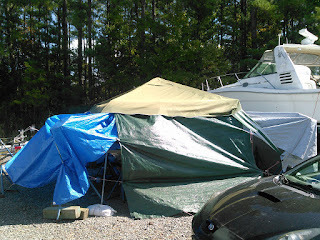 After applying the resin, I was able to bring the temperature of the tent up to a high of 80. Even with the temperatures outside dropping as the sun set, the resin was able to cure. A litle more resin to try and smooth things out a bit. So, tomorrow we will be again sanding fiberglass...oh, yay. But being able to make progress today was good....as it sounds like more colder weather will be heading our way. Congrats on the progess. The hardtop looks good. For your project, I'm waiting for drought, hoards of locusts , flocks of seagulls to be the new threats. Bahamas awaits. Doug in VT- but in Mass now having a septic system installed - Ugh!